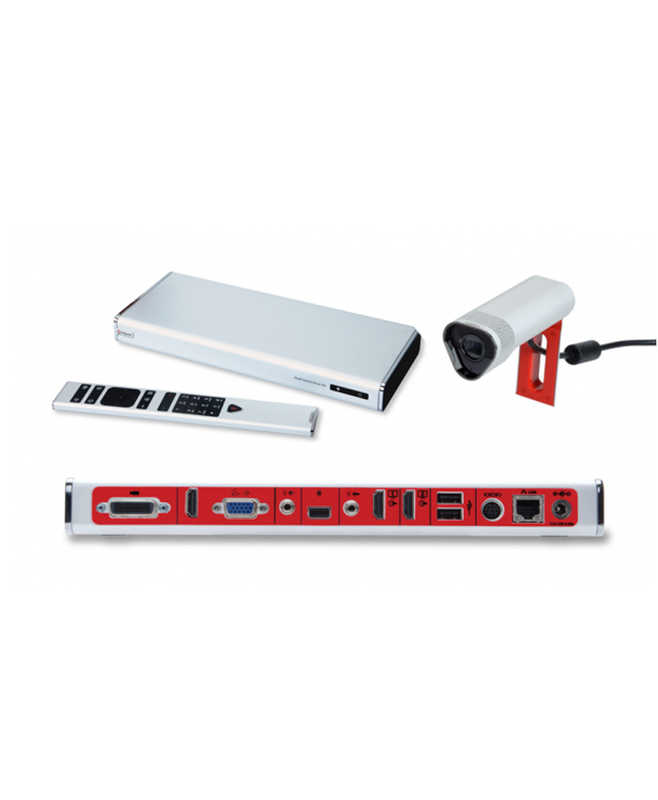 This Polycom RealPresence Group 500 features 720p resolution capabilities and includes the EagleEye Acoustic camera, with integrated microphone. The RealPresence Group 500 is engineered for conference rooms and collaborative environments, such as smaller meeting rooms. In larger rooms, you can take advantage of dual screen capabilities. A compact design, along with the expansive interoperability from Polycom, IT administrators and users alike can admire the design and easy-to-use interface. The RealPresence Group 500 is standards-based and connects to other standards-based video systems. The Group 500 is also natively interoperable with popular UC platforms to easily integrate video with your other business processes. TIP support allows for connection to Cisco environments that aren't standards-based.